The High court of Punjab and Haryana has issued a notification for the recruitment of the clerks. For detailed syllabus Click Here. Though this exam covers two subjects for written exam which is offline yet enough study material is not available anywhere that can help you to get through this exam. 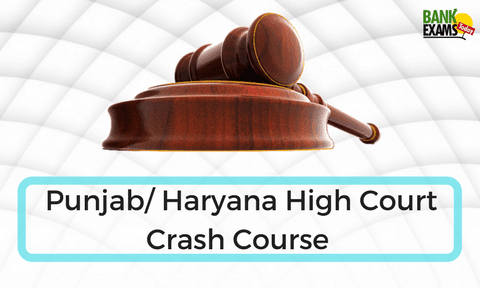 Keeping in view your requirements and exam pattern, BankExamsToday has brought to you a complete preparation course for Punjab Haryana High Court Clerk Exam. One-to-One interaction to discuss your doubts. Overall, this course is a step-by-step study guide that will help you to understand the exam pattern quickly, how to overcome your weakness in English Language and no unnecessary study material will be given to waste your time. This course will help you to attempt the paper with your best preparation.